Whilst all eyes will be on an historic 2014 Ryder Cup at the sublime Gleneagles, there are plenty of other treasures dotted around this amazing part of Scotland. With our first in the series of Day Trip Planners, make this year’s Ryder Cup visit a year to remember by taking time out to explore the marvelous East Coast. Widely regarded as one of the most picturesque parts of Scotland, if not all of the British Isles, the eastern coast of Scotland has enough to tempt even the biggest golf fanatic. Scotland, often seen as a cold and wet land, is home to some amazing beaches, watersports galore and breath-taking landscapes. Throw great eateries and drink into the mix and there is something to satisfy everyone. The East coast of Scotland, from Elie all the way up to St. Andrews is a place of rare beauty, with plenty to do for those with a spare day, perhaps between rounds at the Ryder Cup. Whatever the reason, the East coast deserves at least one day of undivided attention. Officially named ‘Elie and Earlsferry’, the two towns that make that name officially merged in 1930, with most people referring to the area simply as Elie. The beautiful town sits on the north coast of the Firth of Forth and is home to a working, bustling harbour. This area has an ancient heritage, with the actual founding date so long ago that it has long been lost to the sands of time. The area has some illustrious history, with the Earl of Fife crossing the firth here when on the run from the illustrious King Macbeth. In the 1870’s, Elie became extremely popular with Victorian tourists. They flocked from the smoggy industrial centres of England to escape to the clear waters and peace that Elie offered. Today, Elie retains its small town charms, with enough to keep modern visitors entertained but still in touch with what has made Elie such a haven for visitors across the years. 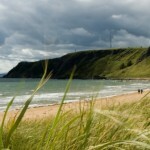 Not often praised for its beaches, eastern Scotland has some glorious sandy havens to explore. Elie beach is, without a doubt, one of the best. 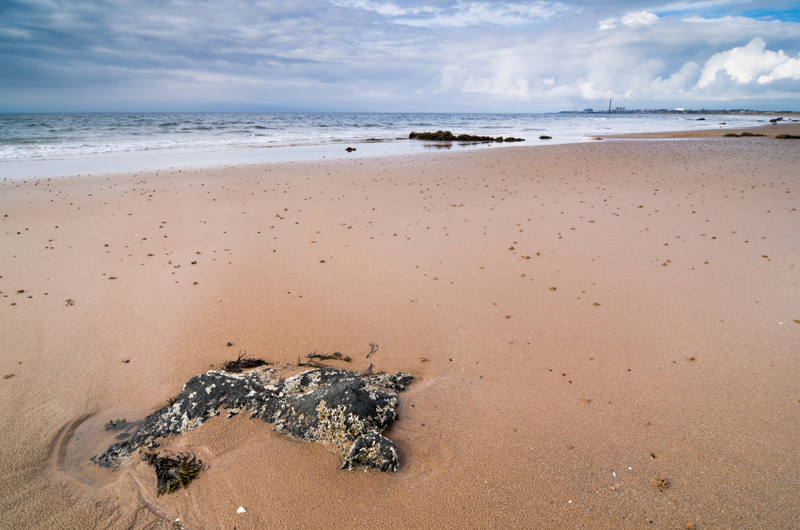 Elie beach, which runs adjacent to the Elie Harbour Beach, is a golden, sandy crescent that enjoys delightful views and pristine, crystalline waters lapping at the shore. Buffering the beach are numerous shops and houses, all in the beautiful local style. The western edge of the beach gives way to rolling sand dunes. Picnic tables and the beautiful surroundings make it somewhere that, with a nice picnic or food from one of the great local eateries, it is easy to while away a whole day. 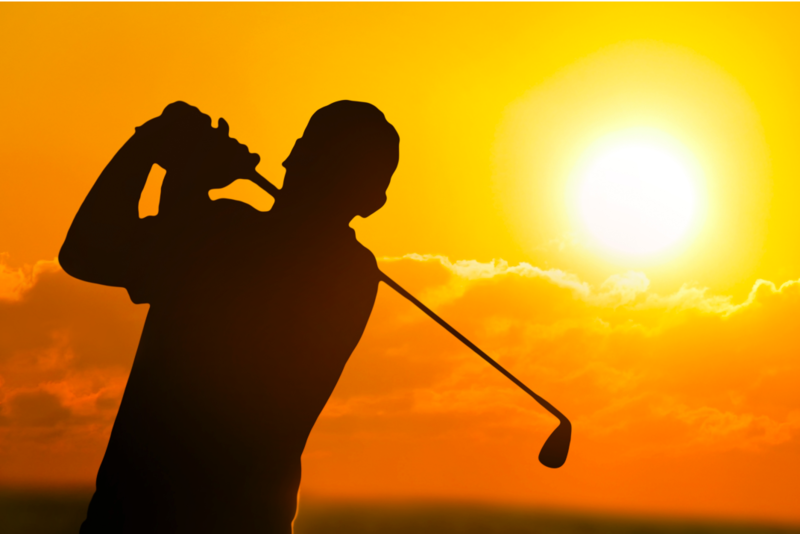 Open from May to September, Elie Watersports is perfect for the Ryder Cup spectator looking to try their hand at any number of aquatic sports. Operating from Elie Harbour, Elie Watersports offers a vast range of activities, catering to the novice and expert alike. Because it is situated in a bay, the calmer water provide a great starting platform for windsurfing, sailing, canoeing, water skiing, or the more leisurely pedal boats or boat rides. Fully licensed and with a safety boat and first aiders on hand at all times, there are few better surroundings in which to enjoy some aquatic fun! Striding further along the coast, we come to Anstruther. 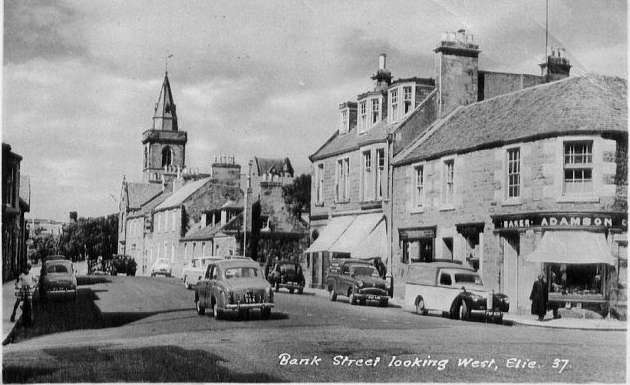 Even though it is the largest of the villages that dot the Firth of Forth, the population of Anstruther is still a pleasantly modest 3,500 men, women and children. Interestingly, a stream– the Dreel Burn, bisects the village in half, adding further to the beauty and charming appeal of the place. Like most of the surrounding villages, fishing was once the dominant local industries. 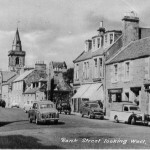 As times have changed, tourism has become one of the main economic pillars of Anstruther. 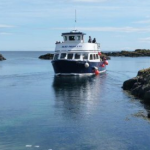 Sailing from Anstruther to the naturalist’s paradise of the Isle of May, Anstruther Pleasure Cruises sail every day from the 1st of April, right through to the 30th of September. The May Princess – the company’s nimble vessel , takes passengers on a short trip – the isle of May is only five miles off the coast of Fife – to an island that is bursting with nature and life. The isle’s natural import is such that Scottish Natural Heritage own and run the island, careful to make sure the Isle of May retains its unique beauty. Passengers get up to three hours ashore to explore and take in the wealth of natural beauty, from the dozens of species of nesting birds to watching the local seals sun themselves on shore. In addition, the oldest lighthouse in Scotland – built in 1636 and the ruins of a 12th century monastery, are sure to prove interesting for any visitor. For any cheese lovers, a visit to St Andrews Cheese Company may very well be your very own nirvana. Taking great care of their precious cows and only making the finest cheese, dedicated cheese lovers might be tempted to sack off the Ryder Cup altogether and stay on site for as long as possible. Making local ‘Anster’ cheese on site, a trip to the St Andrews Cheese Company provides a chance to try a multitude of local cheese, see how the whole process goes down. At the end of the day, the Butterpat café provides a hot drink and snacks to relax, with amazing views overlooking the Firth of Forth.St Andrews Cheese Company also sells a range of local speciality foods, as well as promoting and selling the works of local artists. 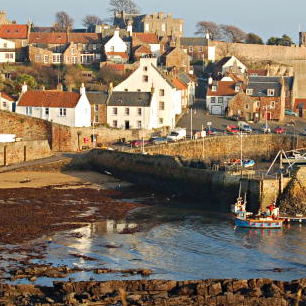 Riddled with cobbled streets and sporting a delightful, miniaturised harbour, Crail is only 90 minutes from Edinburgh but feels a world away from urban hustle and bustle. The village of Crail, beset by the rising and falling slopes of the coast, almost seems to emerge from the surrounding cliffs, with everything sloping down toward the small, but still bustling harbour. The village architecture has the same beautiful features as its nearby cousin villages, with every building pressed tightly against its neighbour, with small roads and alleyways slicing between. Operating for more than 50 years, Crail Pottery is a family affair – run by the children of the original founders. Slap bang in the middle of the gorgeous Crail Village, Crail Pottery offers visitors the chance to see how the artists – and their skill demands that label – work and create their stoneware, earthenware and terracotta pieces. Entirely handmade, every piece bears the stamp of quality and care. As well as watching how the potters create their work, visitors can also browse the workshops and pick up a souvenir from the showroom. No matter how much golf taken at the Ryder Cup, some people will still feel the itch to get a round of their own in. There are not many better places to do this than Crail. Officially the seventh oldest golf club in the world, Crail Golfing Society is a must for any golf fanatic. The Balcomie course dates back 1895, whilst the newer Craighead course opened in 1998. Running right along the Easterly Fife coast, there are fewer places, possibly worldwide, with better views to take in whilst working around the links. 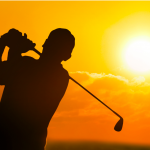 With wildflowers dotting the course and the sea lapping at the shore, this is holy ground for any worshipper of golf.